Little Hagia Sophia is a mosque in Istanbul, close to the Marmara Sea. 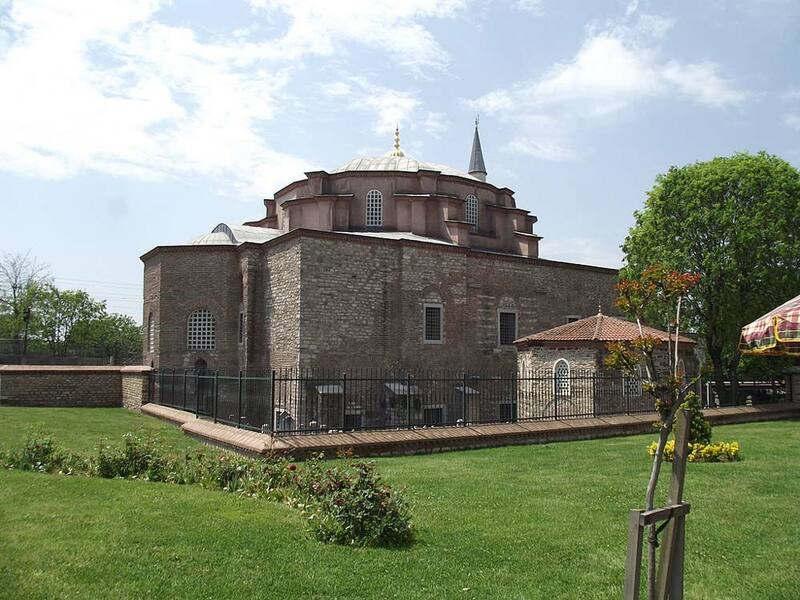 It took on this role during the Ottoman period, having previously served as an Eastern Orthodox Church. The building itself dates from the sixth century AD, and was originally constructed on the orders of the Byzantine emperor Justinian. Because of its historical importance and generally good state of preservation, it is considered one of the city’s most significant Byzantine buildings. Justinian began the construction of the church around 530 AD, a short time before that of St. Sophia. The new church was among the most prominent religious buildings in what was then Constantinople. Shortly afterward a monastery was erected close by. Like the church, it was dedicated to Saints Sergius and Bacchus. The church was the place where Pope Vigilius sought sanctuary in 551 when escaping from imperial soldiers, a bid that resulted in rioting in the city. Otherwise, things remained generally calm throughout the Byzantine period, and the church was even allowed to remain in operation for the first half-century after the Ottoman conquest of 1453. In the early 16th century, it became a mosque and a madrasa was added to the building, as well as an ornate portico. The structure was repaired in the 18th century, and at about this time a minaret was added, which itself was replaced in the 20th century. Istanbul’s geographic location and climate has frequently caused problems for the mosque, in particular because of earthquakes and high humidity levels. Damage was also caused by human factors, such as in the 19th century when a railroad was built nearby, as well as during WWII. Some problems also resulted from the building’s use as a refugee center during the Balkan conflicts of the early 1990’s. Because of these difficulties, UNESCO has placed the mosque on its list of monuments which are considered to be under threat. However, extensive restoration in the early 21st century significantly improved the situation. The outside of the building is typical of contemporary structures in Constantinople. Deep beds of mortar are used to hold bricks in place and runs of stone blocks are used to strengthen the walls. The external shape of the structure is that of an octagon within a quadrilateral, a design which Mimar Sinan later imitated when building the Rüstem Pasha Mosque. On top of the mosque is an umbrella dome; this has eight concave and eight flat sections, each supported by a pillar of polygonal form. The Ottoman-era portico and court lie to the front, as does a fountain and garden. Inside the building, a two-level colonnade runs from the south side to the north via the west wall. This is inscribed with Greek verse in honor of Justinian, his wife, and St. Sergius, who was considered the patron of Roman soldiers. Any mention of St. Bacchus, however, is curiously absent from the inscription. The columns in the colonnade are of verd antique and red marble alternately. There are 18 pillars on the upper story and 16 on the lower.